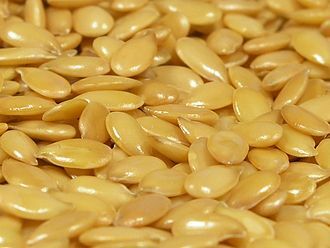 For other uses, see Proserpina (disambiguation). Proserpine (also Proserpina) is an oil painting on canvas by English artist and poet Dante Gabriel Rossetti, painted in 1874 and now in Tate Britain. A version in colored chalks, dated 1880. In his Proserpine, the artist illustrates in his typical Pre-Raphaelite style the Roman goddess who lives in the underworld during Winter. Although Rossetti inscribed the date 1874 on the picture, he worked for seven years on eight separate canvases before he finished with it. His Proserpine, like his model Jane Morris, is an exquisitely beautiful woman, with delicate facial features, slender hands, and flawlessly pale skin set off by her thick raven hair. Rossetti painted it at a time when his mental health was extremely precarious and his love for Jane Morris was at its most obsessive. She is represented in a gloomy corridor of her palace, with the fatal fruit in her hand. As she passes, a gleam strikes on the wall behind her from some inlet suddenly opened, and admitting for a moment the sight of the upper world; and she glances furtively towards it, immersed in thought. The incense-burner stands beside her as the attribute of a goddess. The ivy branch in the background may be taken as a symbol of clinging memory. Unable to decide as a young man whether to concentrate on painting or poetry, his work is infused with his poetic imagination and an individual interpretation of literary sources. His accompanying sonnet to this work is a poem of longing: "And still some heart unto some soul doth pine," (see sonnet below) carrying an inescapable allusion to his yearning to seduce Jane from her unhappy marriage with William Morris. Proserpine had been imprisoned in Pluto's underground realm for tasting the forbidden pomegranate. Jane, trapped by convention, was also tasting forbidden fruit. There is a deeper meaning in the painting as Rossetti stayed with Jane at Kelmscott Manor during the summer months each year and in winter she returned to stay with William Morris, thus paralleling Proserpine's freedom during summer. In Greek and Roman mythology, Proserpine daughter of Ceres, was carried off to the Underworld (Hades) by Pluto, who married her despite her love for Adonis. When Ceres begged Jupiter to return her daughter to Earth, he agreed, on condition that Proserpine had not eaten any fruits in Hades. As Proserpine had eaten six pomegranate seeds, it was decreed that she should remain in Hades for six months of the year and be allowed on Earth for the other six. The symbolism in Rossetti's painting poignantly indicates Proserpine's plight, as well as Jane Morris's plight, torn between her husband, the father of her two adored daughters, and her lover. The pomegranate draws the viewer's eye, the colour of its flesh matching the colour of Proserpine's full lips. 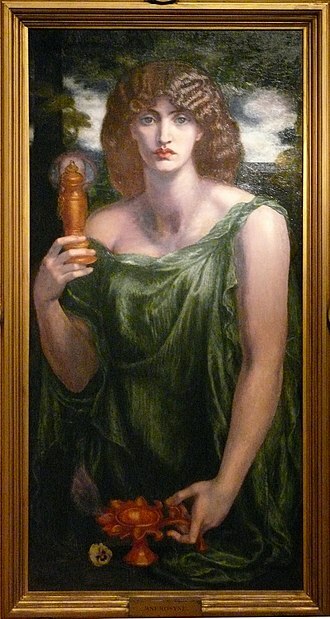 The ivy behind her, as Rossetti stated, represents clinging memory and the passing of time; the shadow on the wall is her time in Hades, the patch of sunlight, her glimpse of earth. Her dress, like spilling water, suggests the turning of the tides, and the incense burner denotes the subject as an immortal. Proserpine's saddened eyes, which are the same cold blue color as most of the painting, indirectly stare at the other realm. Overall, dark hues characterise the color scheme of the piece. Dire fruit, which, tasted once, must thrall me here. The nights that shall become the days that were. 'Woe me for thee, unhappy Proserpine'. The painting is signed and dated on a scroll at lower left: 'DANTE GABRIELE ROSSETTI RITRASSE NEL CAPODANNO DEL 1874' (in Italian) (Dante Gabriel Rossetti painted this at the beginning of 1874). The frame, designed by Rossetti, has roundels which resemble a section of a pomegranate, reflecting the sliced pomegranate in Proserpine's hand. Rossetti began work on the painting in 1871 and painted at least eight separate versions, the last only completed in 1882, the year of his death. Early versions were promised to Charles Augustus Howell. The painting discussed in this article is the so-called seventh version commissioned by Frederick Richards Leyland, now at the Tate Gallery, with the very similar final version now at the Birmingham Museum and Art Gallery. Leyland commissioned eighteen paintings from Rossetti, not counting unfulfilled commissions. Soon after Leyland acquired his first Rossetti painting, he and Rossetti explored the idea of a Rossetti triptych, which was eventually formed with Mnemosyne, The Blessed Damozel, and Proserpine. Three additional Rossetti paintings were then hung in Leyland's drawing room, all of which Leyland called "stunners." ^ V. Surtees, Dante Gabriel Rossetti 1828–1882. The Paintings and Drawings, Clarendon Press (1971), I, pp. 131–4. ^ Cf. W.E. Fredeman (ed. ), The correspondence of Dante Gabriel Rossetti, 7 Vols., Brewer (2002–8). ^ See critique at The Victorian Web, also here. ^ a b Riggs, Terry (1998). "Proserpine 1874". Tate Collection. Retrieved 14 February 2012. ^ L. Parris (ed. ), The Pre-Raphaelites, exhibition catalogue, Tate Gallery (1984), pp. 231–2. ^ a b Waking Dreams, p. 26. (figure 5). ^ "Oil Painting – Proserpine". Birmingham Museums and Art Gallery. Retrieved 14 February 2012. ^ Waking Dreams, p. 204. Wildman, Stephen; Laurel Bradley; Deborah Cherry; John Christian; David B. Elliott; Betty Elzea; Margaretta Fredrick; Caroline Hannah; Jan Marsh; Gayle Seymour (2004). 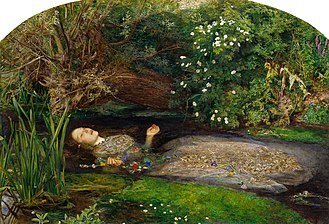 Waking Dreams, the Art of the Pre-Raphaelites from the Delaware Art Museum. Art Services International. p. 395. Ash, Russell. (1995) Dante Gabriel Rossetti. London: Pavilion Books. Doughty, Oswald. (1949) A Victorian Romantic: Dante Gabriel Rossetti London: Frederick Muller. Fredeman, William E. (ed.) (2002–08) The correspondence of Dante Gabriel Rossetti. 7 Vols., Brewer, Cambridge. Hilto, Timoth. (1970) The Pre-Raphelites. London: Thames and Hudson, New York: Abrams. Parris, Leslie (ed.) (1984) The Pre-Raphaelites, exhibition catalogue, London: Tate Gallery. Surtees, Virginia. (1971) Dante Gabriel Rossetti. 2 vols. Oxford: Clarendon Press. Todd, Pamela. (2001) Pre-Raphaelites at Home, New York: Watson-Giptill Publications. Treuherz, Julian, Prettejohn, Elizabeth, and Becker, Edwin (2003). Dante Gabriel Rossetti. London: Thames & Hudson. Wikimedia Commons has media related to Proserpine. This work was painted at the start of Rossettis affair with Jane Morris, who modelled for the picture. As he was to do with Beata Beatrix, Rossetti chose a tale by Dante Aligheri to illustrate his love for his model and he continued this theme, as shown in Proserpine. Rossetti not only drew Jane exhaustively, he choreographed photographic sessions of her, amongst other representations of her, Rossetti depicts Jane as Proserpine, Queen Guinevere and Desdemona - all of whom were at the mercy of men. 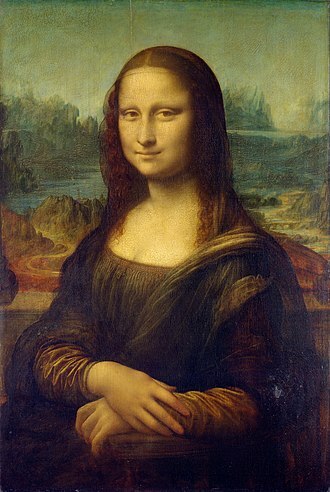 Jane appears disproportionately large in most of Rossettis pictures, the background is immaterial as long as the viewer focuses on the beauty of her face. In Pia de Tolomei her neck seems almost dislocated, it is so strangely elongated, Janes hair colour is misrepresented here. Her natural colour was brown, yet Rossetti paints it with an auburn tinge - closer to Lizzie Siddals hair colour than Janes. Also, her hands are twisted and intertwined in a peculiar way, london and Hudson, New York, Abrams. Veronica Veronese is an oil painting by Dante Gabriel Rossetti painted in 1872 with Alexa Wilding as the model. The painting was conceived as a companion to Lady Lilith, Rossetti sold the painting to one of his best clients, shipping magnate Frederick Richards Leyland. In 1923 it was acquired by the estate of Samuel Bancroft which donated it in 1935 to the Delaware Art Museum where it is now displayed, like much of Rossettis work of the 1860s and 1870s, Veronica Veronese was inspired by Venetian painting. It is believed to represent “the artistic soul in the act of creation. ”This theme is expounded by the fictitious quote inscribed on the frame of the painting. Though the quote is attributed on the frame to The Letters of Girolamo Ridolfi, suddenly leaning forward, the Lady Veronica rapidly wrote the first notes on the virgin page. It was the marriage of the voices of nature and the dawn of a mystic creation. The symbolism in the painting includes the bird, which may represent the marriage of the voices of nature. The camomile in the cage may represent “energy in adversity, ” the primroses youth. Jane Morris lent the green dress in the picture, the violin was part of Rossettis collection of musical instruments, and the fan appeared in Monna Vanna. The few bars of musical composition on the manuscript may have borrowed from George Boyce. Leyland bought the painting from Rossetti in 1872 for £840 and it was sold at Leylands estate sale, the painting hung in Leylands drawing room with five other Rossetti paintings that Leyland called stunners. After Leylands estate sale, the painting changed hands three times until it was bought by Charles Fairfax Murray, another Pre-Raphaelite artist, murrays son, John Edward Murray, sold it to the estate of Samuel Bancroft in 1923. Bancroft and his estate accumulated one of the largest collections of Pre-Raphaelite art outside of the United Kingdom, the painting was exhibited in London in 1883, and in Washington, D. C. Richmond, Virginia and Birmingham and Williamstown, Stephen, Laurel Bradley, Deborah Cherry, John Christian, David B.
Paolo and Francesca da Rimini is a watercolour by English artist and poet Dante Gabriel Rossetti, painted in 1855 and currently housed at Tate Britain. Rossettis real name was Charles Gabriel Dante Rossetti, but his admiration for the great Florentine poet led him to change it to Dante Gabriel Rossetti, although the artist had been sketching the subject for many years, the watercolour took him just one week to complete. The buyer was the writer and critic John Ruskin, the drawing is simple and the colours generally muted. Only Francescas long golden hair looks forward to the more sensuous creatures of Rossettis works, the picture was originally planned as a triptych in oil, with the same scenes as in the watercolour, but with the lovers kissing as the central motif. Francesca was the sister-in-law of Paolo Malatesta, and both were married, but they fell in love, the triptych has several inscriptions taken from Canto V, with Rossetti bringing the story to life by writing relevant quotations in the original Italian around the edge of the composition. Frederick Richards Leyland was one of the largest British shipowners, running 25 steamships in the transatlantic trade. He was an art collector, who commissioned works from several of the Pre-Raphaelite painters. Leyland served as an apprentice in the firm of John Bibby, Sons & Co, in 1867, he took on the tenancy of Speke Hall, and in 1869 bought a house in London at 49 Princes Gate. At the end of 1872, when the Bibby partnership dissolved, he bought out his employers, under his direction the line expanded into transatlantic trade and by 1882 had 25 steamships. He retired from business in 1888, leaving his son Frederick Dawson Leyland in charge. Leylands first commissions were to Rossetti and James McNeill Whistler, Leyland collected Renaissance art, as well as that of the Pre-Raphaelites and Albert Moore. Leyland commissioned The Beguiling of Merlin, a painting by the Pre-Raphaelite painter Edward Burne-Jones, the painting depicts a scene from Arthurian legend, the infatuation of Merlin with the Lady of the Lake, Nimue. Merlin is shown trapped, helpless in a bush as Nimue reads from a book of spells. In the 1870s, Leyland commissioned Whistler to decorate his dining room, the resulting Peacock Room is considered one of Whistlers greatest works. After Leylands death, his widow sold the Peacock Room to the American industrialist and it now resides in the Smithsonian Museums Freer Gallery of Art in Washington, DC. Leyland died in 1892, one of the largest shipowners in Britain, the grave is 10m west of the main path between the north entrance and colonnade but is highly recognizable due to its unique form and design. In 1892, John Ellerman made his first move into shipping by leading a consortium purchased the Leyland Line of the late Frederick Richards Leyland. In 1901, Ellerman sold this business to J. P. Morgan for £1.2 million, Leylands funerary monument is the only such work by Edward Burne-Jones – the finest Arts and Crafts funerary monument in the UK, and Grade II* listed. Leyland married Frances née Dawson on 23 March 1855, but they separated in 1879, possibly because of his liaison with his married mistress Rosa Laura Caldecott and he and Frances had four children together, Frederick Dawson, Florence married Valentine Cameron Prinsep and Elinor. Tate Britain is an art museum on Millbank in the City of Westminster in London. It is part of the Tate network of galleries in England, with Tate Modern, Tate Liverpool and it is the oldest gallery in the network, having opened in 1897. It is one of the largest museums in the country, the gallery is situated on Millbank, on the site of the former Millbank Prison. Construction, undertaken by Higgs and Hill, commenced in 1893, from the start it was commonly known as the Tate Gallery, after its founder Sir Henry Tate, and in 1932 it officially adopted that name. As a consequence, it was renamed Tate Britain in March 2000, the front part of the building was designed by Sidney R. J. Smith with a classical portico and dome behind, and the central sculpture gallery was designed by John Russell Pope. Tate Britain includes the Clore Gallery of 1987, designed by James Stirling, crises during its existence include flood damage to work from the River Thames, and bomb damage during World War II. However, most of the collection was in storage elsewhere during the war. In 1970, the building was given Grade II* listed status, the museum stayed open throughout the three phases of renovation. Completed in 2013, the newly designed sections were conceived by the architects Caruso St John and included a total of nine new galleries, with reinforced flooring to accommodate heavy sculptures. A second part was unveiled that year, the centrepiece being the reopening of the buildings Thames-facing entrance as well as a new spiral staircase beneath its rotunda, the circular balcony of the rotundas domed atrium, closed to visitors since the 1920s, was reopened. The gallery now has a dedicated entrance and reception beneath its entrance steps on Millbank. The front entrance is accessible by steps, a side entrance at a lower level has a ramp for wheelchair access. The gallery provides a restaurant and a café, as well as a Friends room and this membership is open to the public on payment of an annual subscription. As well as offices the building complex houses the Prints and Drawings Rooms, as well as the Library. Jupiter, Jove, is the god of sky and thunder and king of the gods in Ancient Roman religion and mythology. Jupiter was the deity of Roman state religion throughout the Republican and Imperial eras. In Roman mythology, he negotiates with Numa Pompilius, the king of Rome, to establish principles of Roman religion such as offering. Jupiter is usually thought to have originated as a sky god, the two emblems were often combined to represent the god in the form of an eagle holding in its claws a thunderbolt, frequently seen on Greek and Roman coins. As the sky-god, he was a witness to oaths. Many of his functions were focused on the Capitoline Hill, where the citadel was located and he was the chief deity of the early Capitoline Triad with Mars and Quirinus. 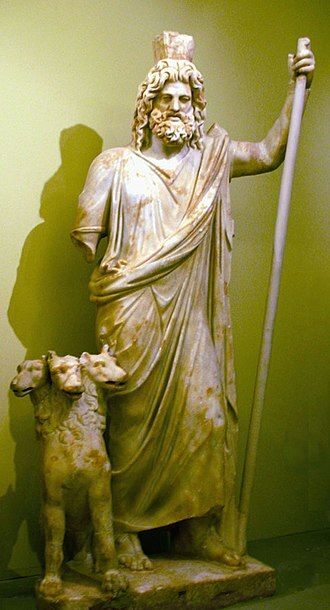 In the Capitoline Triad, he was the guardian of the state with Juno. His sacred tree was the oak, the Romans regarded Jupiter as the equivalent of the Greek Zeus, and in Latin literature and Roman art, the myths and iconography of Zeus are adapted under the name Iuppiter. In the Greek-influenced tradition, Jupiter was the brother of Neptune, each presided over one of the three realms of the universe, the waters, and the underworld. The Italic Diespiter was a sky god who manifested himself in the daylight, Tinia is usually regarded as his Etruscan counterpart. The Romans believed that Jupiter granted them supremacy because they had honoured him more than any other people had, Jupiter was the fount of the auspices upon which the relationship of the city with the gods rested. He personified the divine authority of Romes highest offices, internal organization and his image in the Republican and Imperial Capitol bore regalia associated with Romes ancient kings and the highest consular and Imperial honours. The consuls swore their oath of office in Jupiters name, to thank him for his help, they offered him a white ox with gilded horns. A similar offering was made by generals, who surrendered the tokens of their victory at the feet of Jupiters statue in the Capitol. 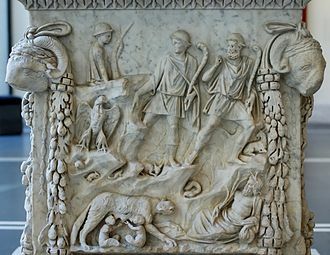 Roman mythology is the body of traditional stories pertaining to ancient Romes legendary origins and religious system, as represented in the literature and visual arts of the Romans. Roman mythology may refer to the study of these representations. 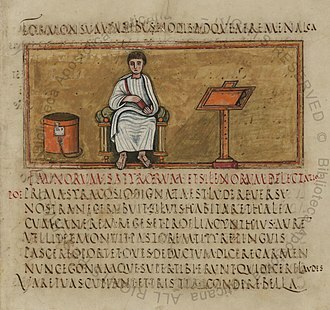 The Romans usually treated their traditional narratives as historical, even when these have miraculous or supernatural elements, the stories are often concerned with politics and morality, and how an individuals personal integrity relates to his or her responsibility to the community or Roman state. When the stories illuminate Roman religious practices, they are concerned with ritual, augury. 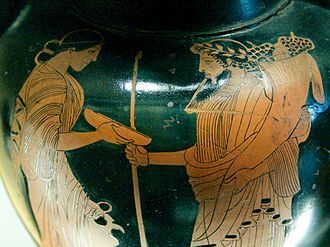 Romes early myths and legends have a relationship with Etruscan religion. In particular, the versions of Greek myths in Ovids Metamorphoses, written during the reign of Augustus, because ritual played the central role in Roman religion that myth did for the Greeks, it is sometimes doubted that the Romans had much of a native mythology. This perception is a product of Romanticism and the scholarship of the 19th century. From the Renaissance to the 18th century, Roman myths were an inspiration particularly for European painting, the Roman tradition is rich in historical myths, or legends, concerning the foundation and rise of the city. These narratives focus on human actors, with only occasional intervention from deities, in Romes earliest period and myth have a mutual and complementary relationship. As T. P. Wiseman notes, The Roman stories still matter, as they mattered to Dante in 1300 and Shakespeare in 1600, what does it take to be a free citizen. Can a superpower still be a republic, how does well-meaning authority turn into murderous tyranny. Major sources for Roman myth include the Aeneid of Vergil and the first few books of Livys history as well as Dionysius s Roman Antiquities. Other important sources are the Fasti of Ovid, a six-book poem structured by the Roman religious calendar, scenes from Roman myth appear in Roman wall painting and sculpture, particularly reliefs. 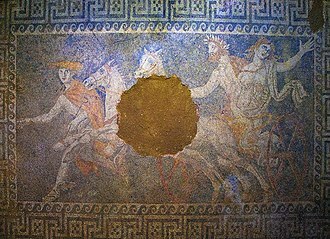 The Aeneid and Livys early history are the best extant sources for Romes founding myths, material from Greek heroic legend was grafted onto this native stock at an early date. Hades was the ancient Greek chthonic god of the underworld, which eventually took his name. In Greek mythology, Hades was regarded as the oldest son of Cronus and Rhea and he and his brothers Zeus and Poseidon defeated their fathers generation of gods, the Titans, and claimed rulership over the cosmos. Hades received the underworld, Zeus the sky, and Poseidon the sea, Hades was often portrayed with his three-headed guard dog Cerberus. 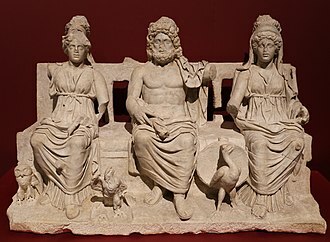 The Etruscan god Aita and Roman gods Dis Pater and Orcus were eventually taken as equivalent to the Greek Hades and merged as Pluto, the origin of Hades name is uncertain, but has generally been seen as meaning The Unseen One since antiquity. Modern linguists have proposed the Proto-Greek form *Awides, the earliest attested form is Aḯdēs, which lacks the proposed digamma. West argues instead for a meaning of the one who presides over meeting up from the universality of death. In Homeric and Ionic Greek, he was known as Áïdēs, other poetic variations of the name include Aïdōneús and the inflected forms Áïdos, Áïdi, and Áïda, whose reconstructed nominative case *Áïs is, not attested. The name as it came to be known in classical times was Háidēs, the iota became silent, a subscript marking, and finally omitted entirely. Perhaps from fear of pronouncing his name, around the 5th century BC, Plouton became the Roman god who both rules the underworld and distributed riches from below. This deity was a mixture of the Greek god Hades and the Eleusinian icon Ploutos, and from this he received a priestess. More elaborate names of the genre were Ploutodótēs or Ploutodotḗr meaning giver of wealth. Epithets of Hades include Agesander and Agesilaos, both from ágō and anḗr or laos, describing Hades as the god who carries away all. He was referred to as Zeus Katachthonios, meaning the Zeus of the Underworld, by avoiding his actual name. In Greek mythology, Hades the god of the underworld, was a son of the Titans Cronus and he had three sisters, Demeter and Hera, as well as two brothers, the youngest of the three, and Poseidon. Upon reaching adulthood, Zeus managed to force his father to disgorge his siblings, after their release, the six younger gods, along with allies they managed to gather, challenged the elder gods for power in the Titanomachy, a divine war. The Oxford Union murals are a series of mural decorations in the Oxford Union library building. 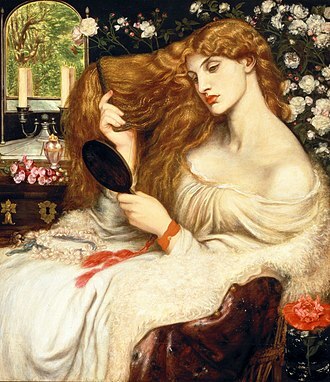 The series was executed by a team of Pre-Raphaelite artists including Dante Gabriel Rossetti, William Morris, the paintings depict scenes from Arthurian myth. In addition to Rossetti and Burne-Jones, several artists agreed to contribute. 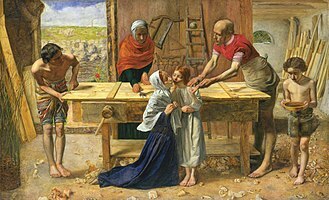 These were the painters Val Prinsep, Arthur Hughes, J. H. Pollen, John Roddam Spencer Stanhope, the process of painting the murals was notoriously chaotic. Ruskin said that the artists were all the least bit crazy, as the murals were painted directly onto the wall without plaster or adequate underpainting they began to suffer decay very quickly. 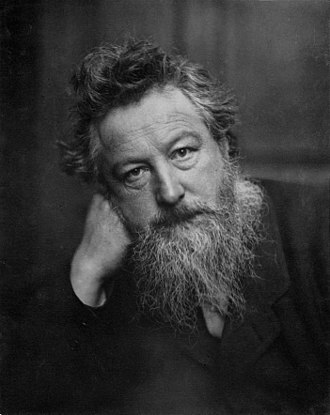 William Morris completely repainted his design for the ceiling, Rossettis main work was Sir Lancelots Vision of the Holy Grail. Burne-Jones painted Nimue brings Sir Peleus to Ettarde after their Quarrel, jane Burden first appears as a model in the Oxford murals. Jane was noticed by Rossetti and Burne-Jones when she was visiting an Oxford theatre with her sister, struck by Janes beauty, they sought her to model for them. A triptych is a work of art that is divided into three sections, or three carved panels that are hinged together and can be folded shut or displayed open. It is therefore a type of polyptych, the term for all multi-panel works, the middle panel is typically the largest and it is flanked by two smaller related works, although there are triptychs of equal-sized panels. 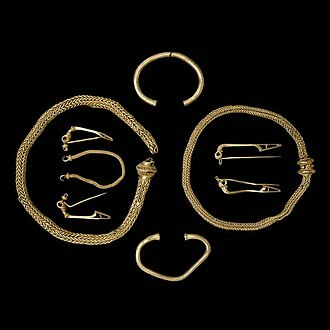 The form can be used for pendant jewelry, despite its connection to an art format, the term is sometimes used more generally to connote anything with three parts, particularly if they are integrated into a single unit. The triptych form arises from early Christian art, and was a standard format for altar paintings from the Middle Ages onwards. Its geographical range was from the eastern Byzantine churches to the Celtic churches in the west, renaissance painters such as Hans Memling and Hieronymus Bosch used the form. 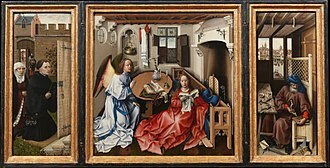 Triptych forms allow ease of transport, from the Gothic period onward, both in Europe and elsewhere, altarpieces in churches and cathedrals were often in triptych form. Statue of Jupiter, Vatican, Rome. 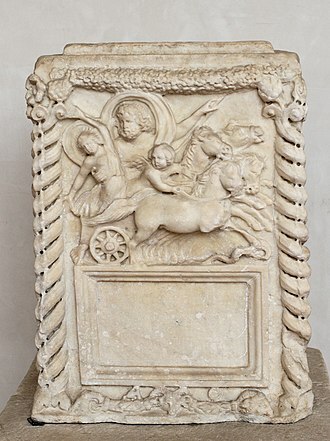 Decor Fragment of a triumphal arch: The Emperor's Guards, The Praetorian Guard, featured in a relief with an eagle grasping a thunderbolt through its claws; in reference to Roman equivalent form of Jupiter. The Round Room including Jacob Epstein's The Archangel Lucifer (1944–45). Sibylla Palmifera, 1866–70, also features Alexa Wilding as the model. It forms a pair with Lady Lilith with Rossetti poems inscribed on each frame. Now in the Lady Lever Art Gallery. 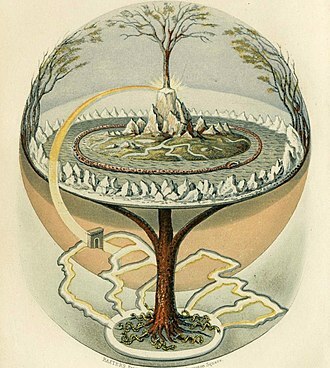 Yggdrasil, a modern attempt to reconstruct the Norse world tree which connects the heavens, the world, and the underworld. The legs of the god Vishnu as the Cosmic Man depict earth and the seven realms of the Hindu underworld of Patala. The feet rest on cosmic serpent Shesha. The Girlhood of Mary Virgin by Rossetti (1849), Tate Britain. Chalk study for Water Willow. Birmingham Museums & Art Gallery.